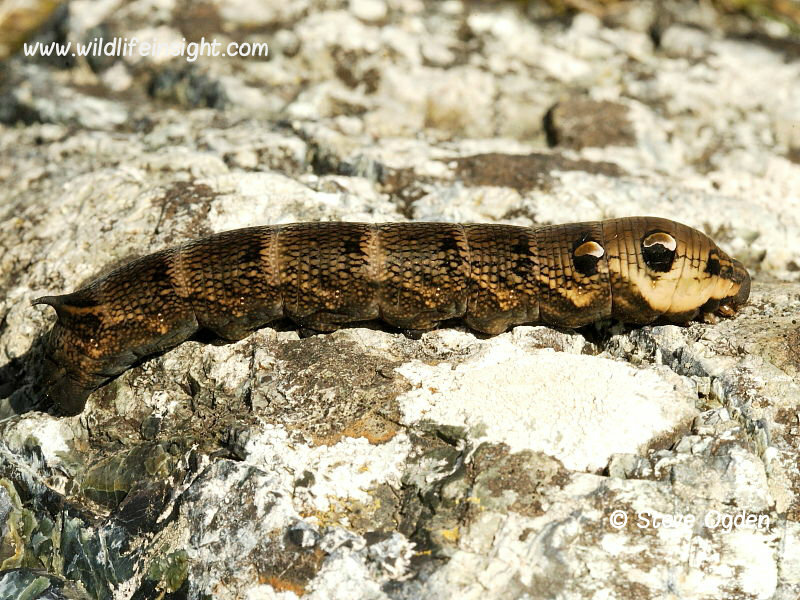 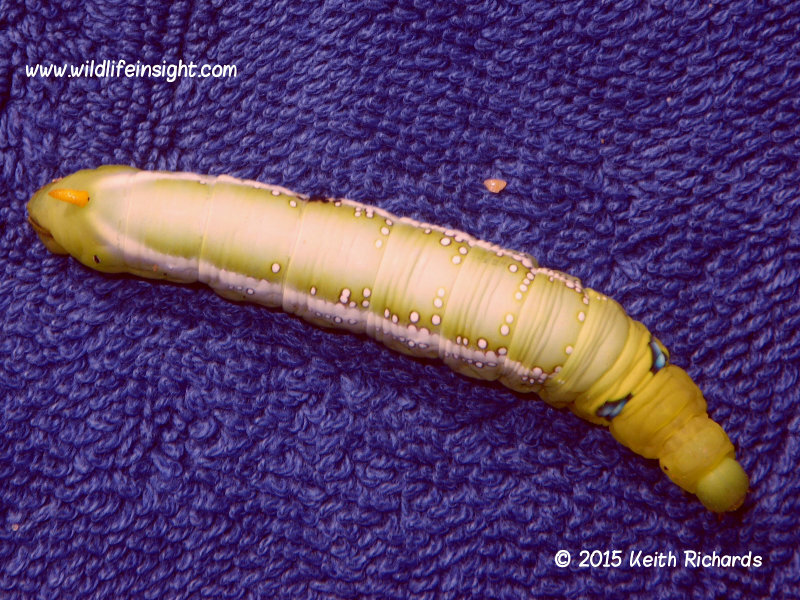 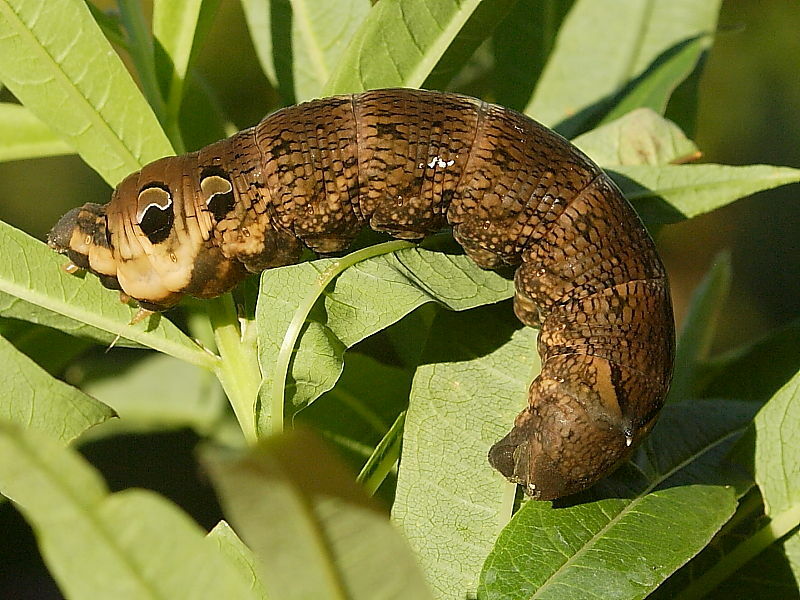 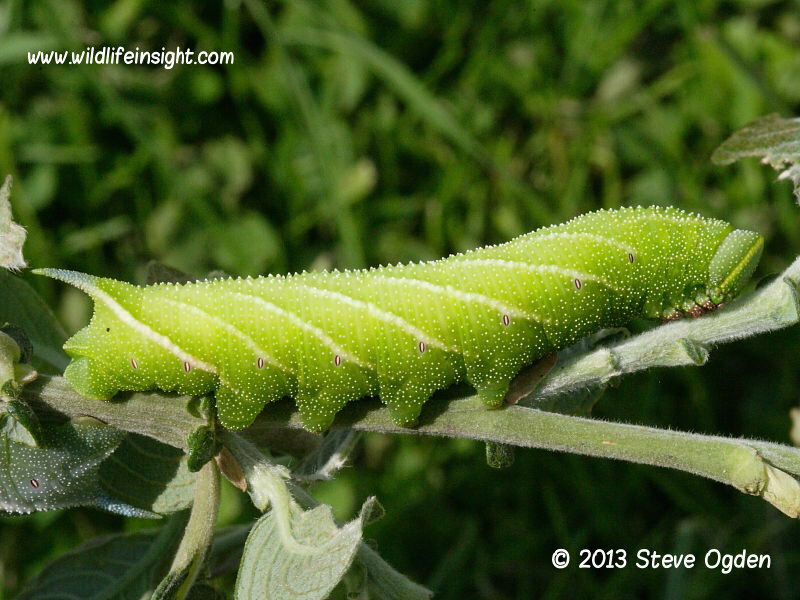 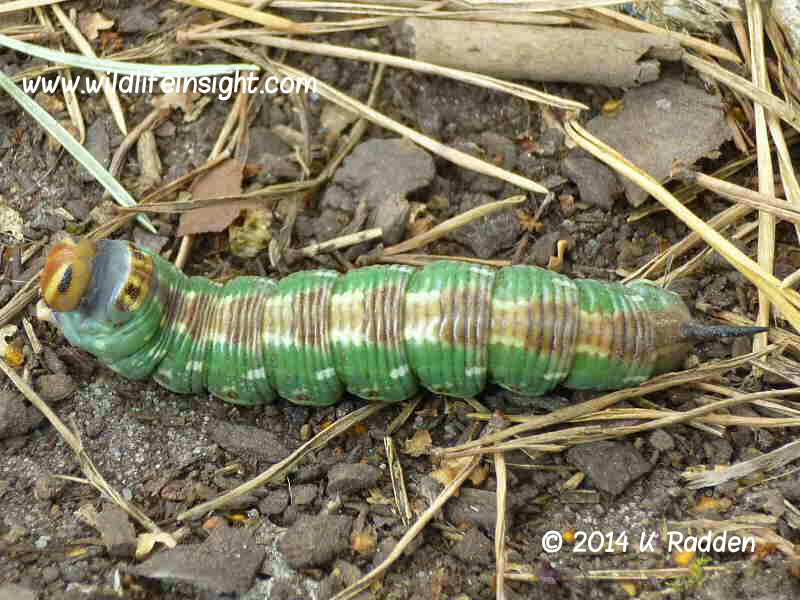 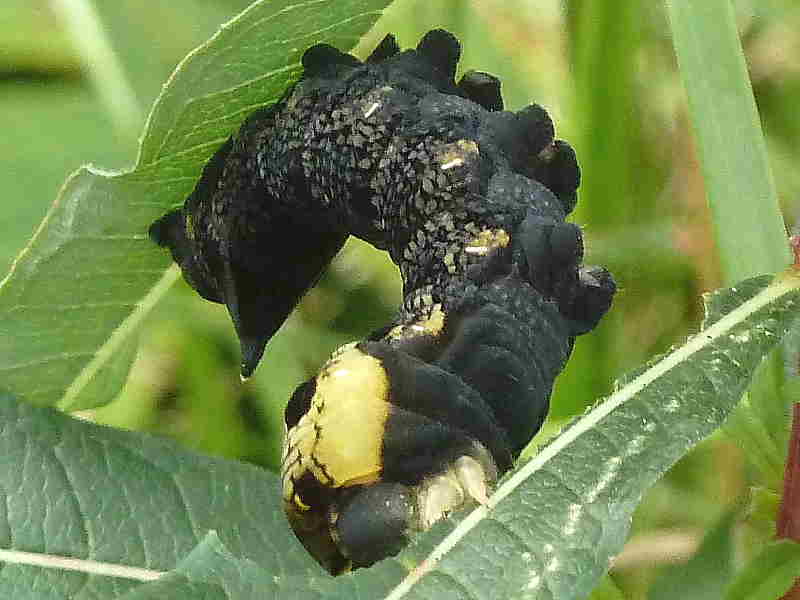 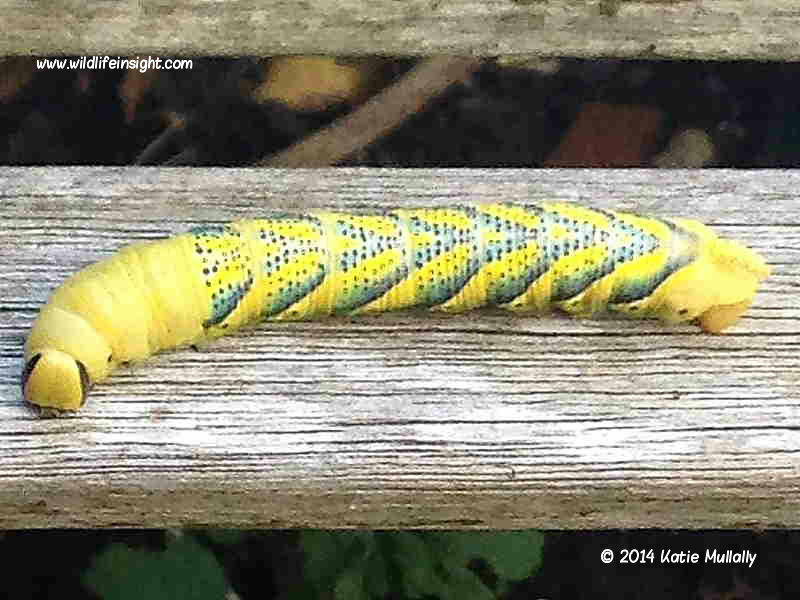 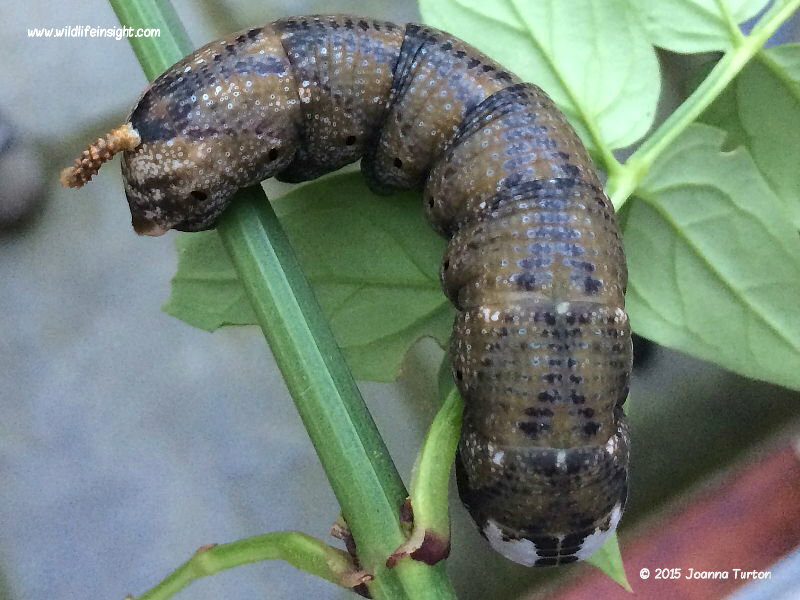 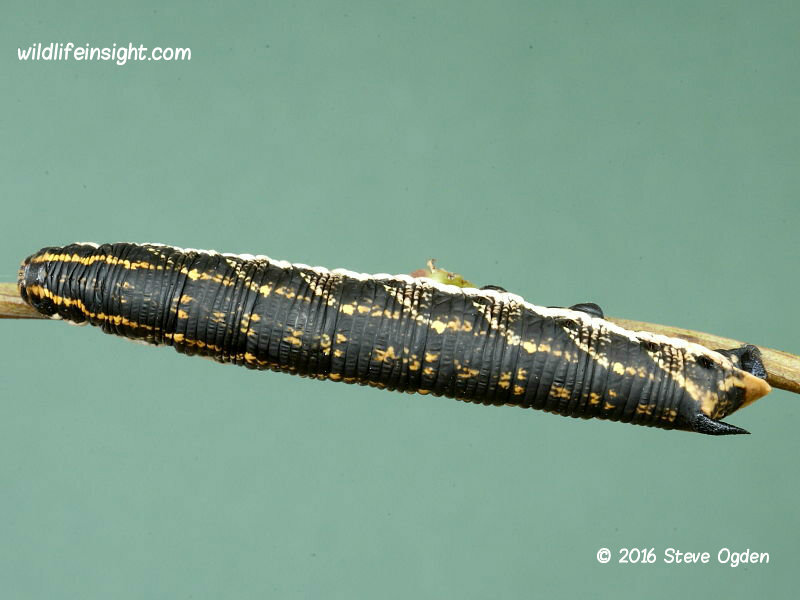 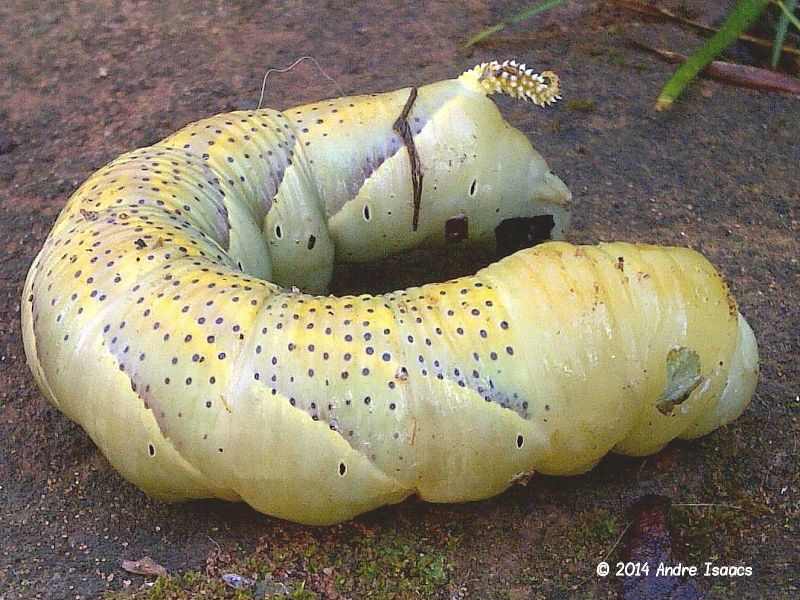 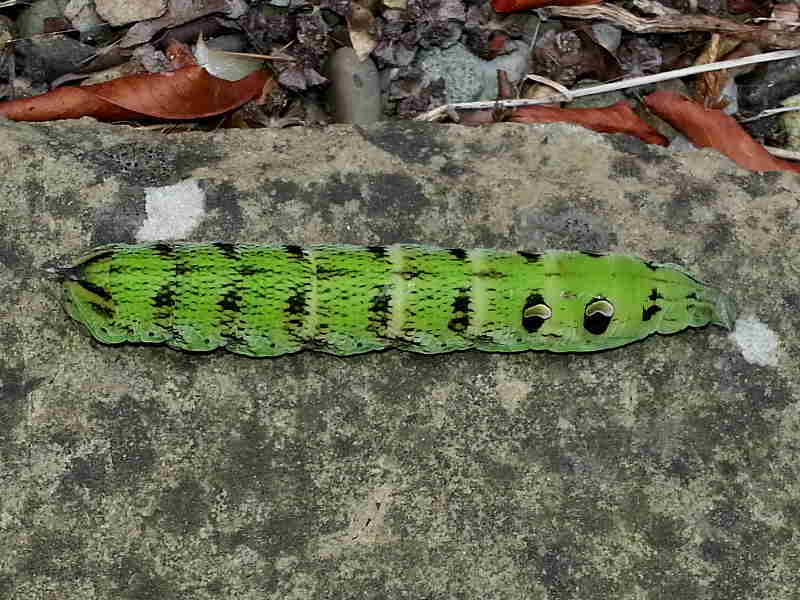 The Hawkmoth with the largest caterpillar is the migrant Death’s Head Hawkmoth, reaching 125mm in length. 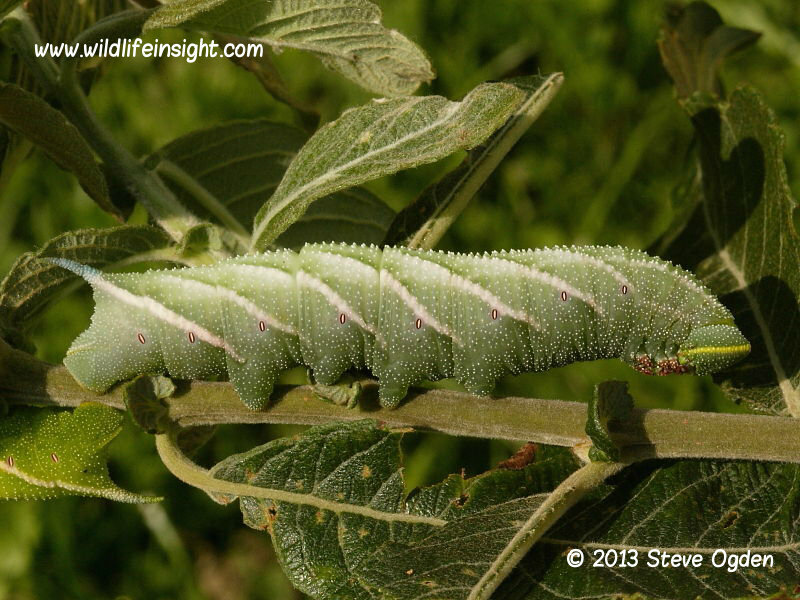 In the UK the The Goat Moth caterpillar is longer than many species of Hawkmoth caterpillar but less bulky. 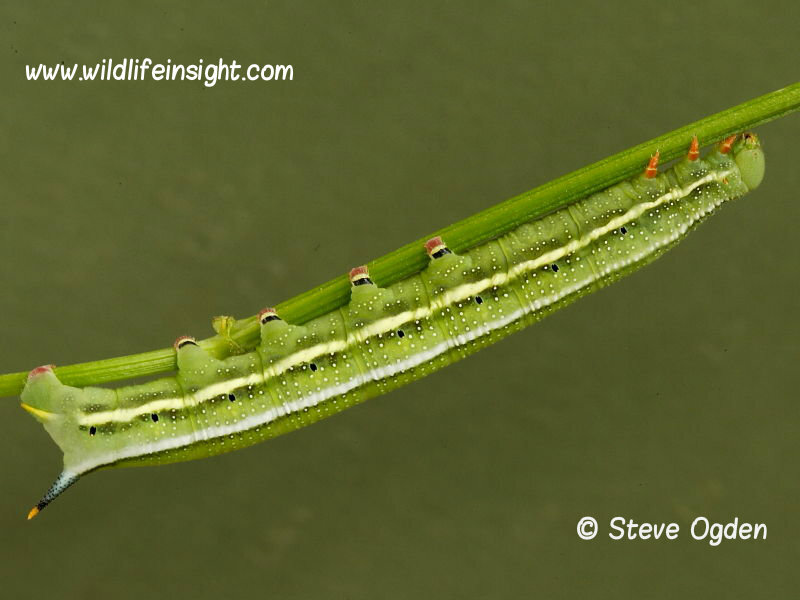 As well as their size most have formidable looking tail spurs which are visible even on newly hatched caterpillars. 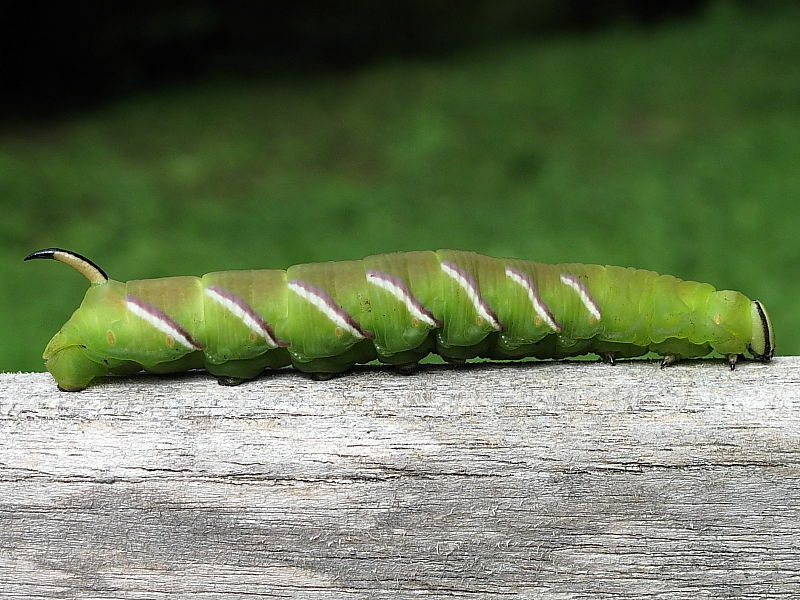 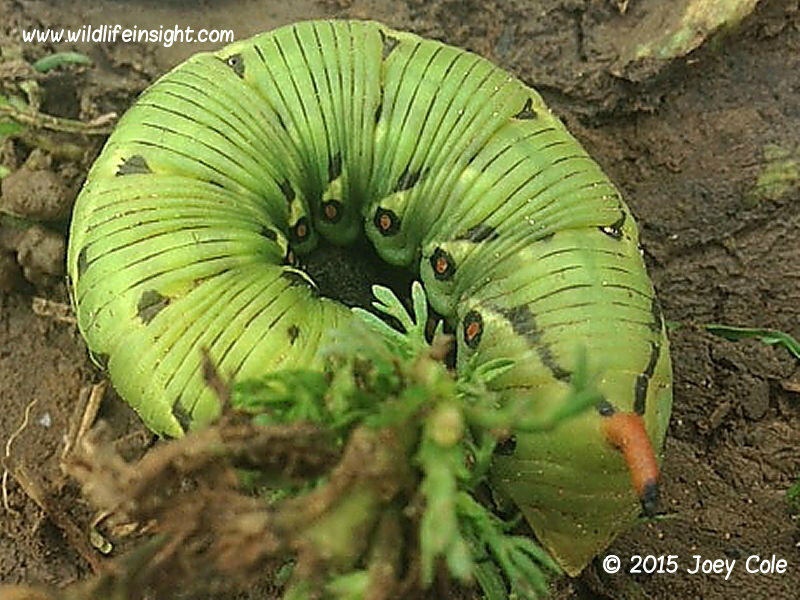 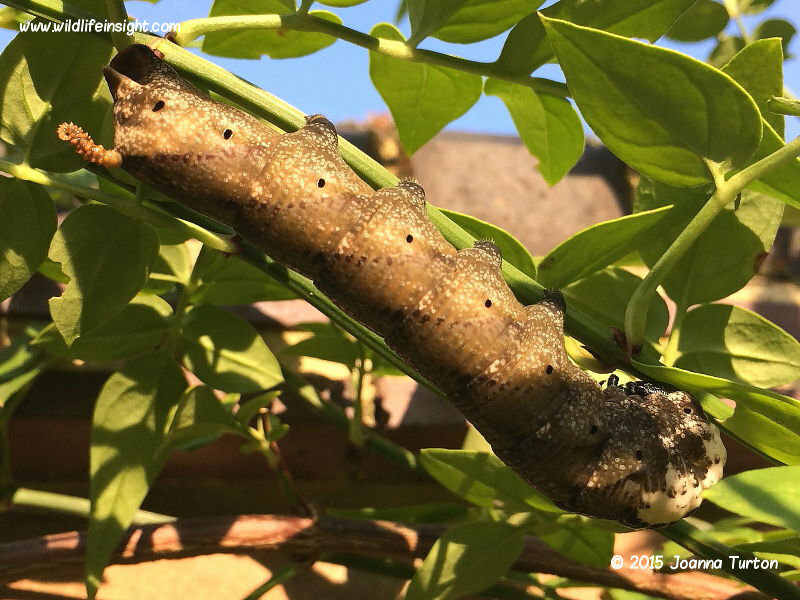 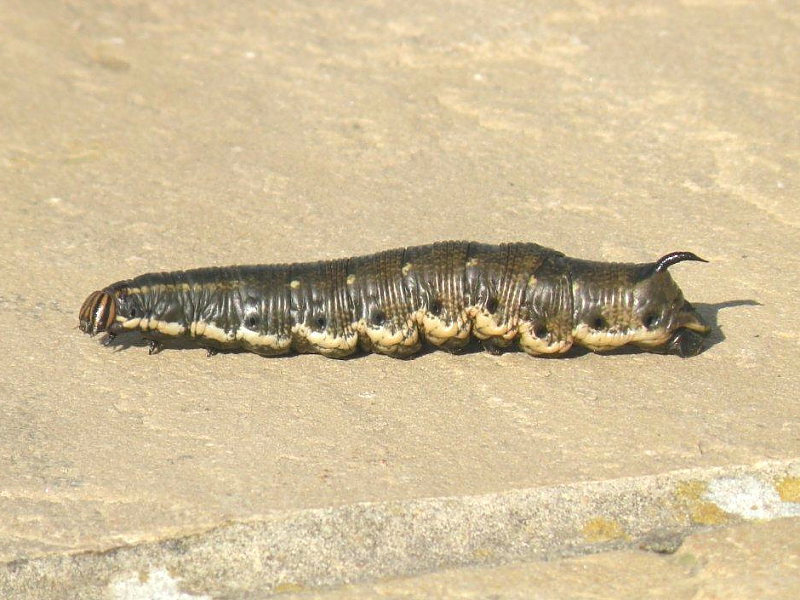 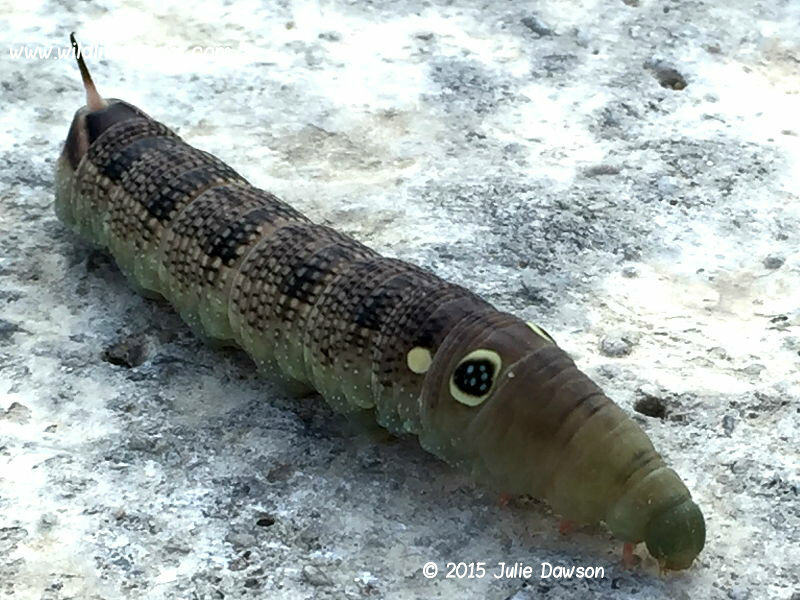 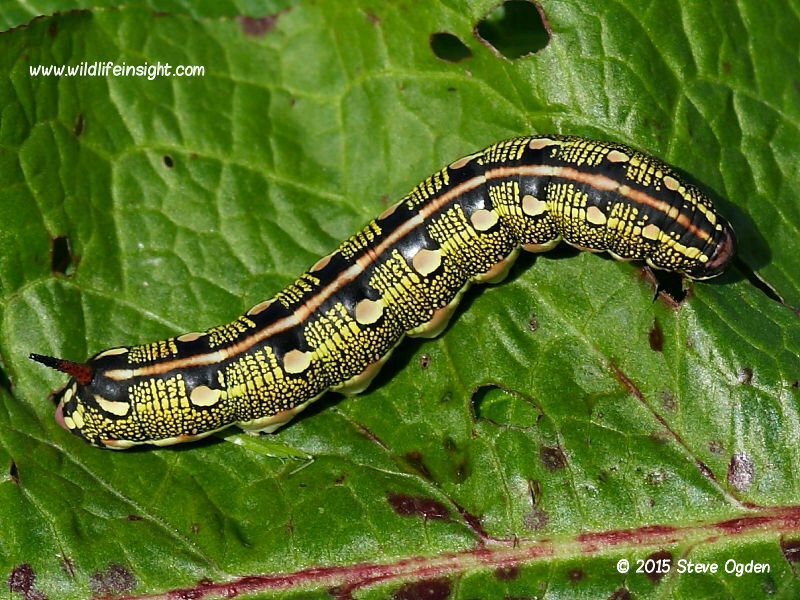 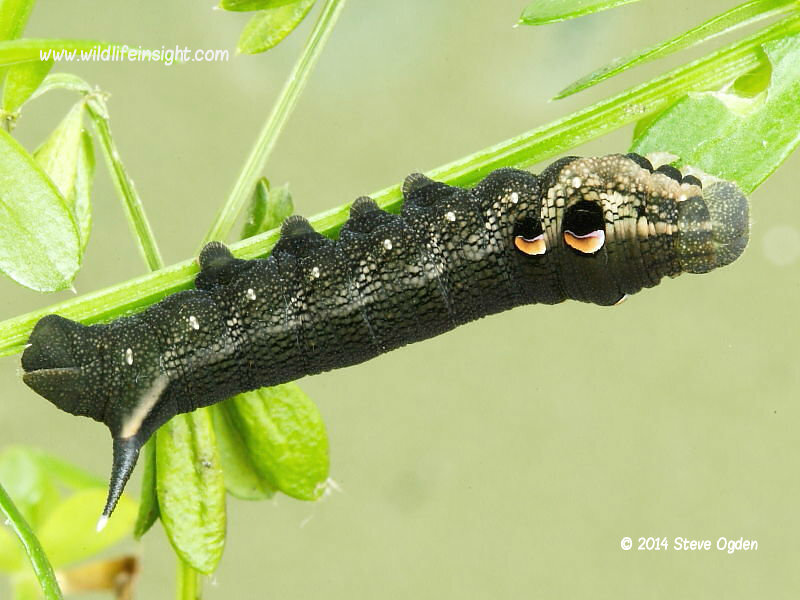 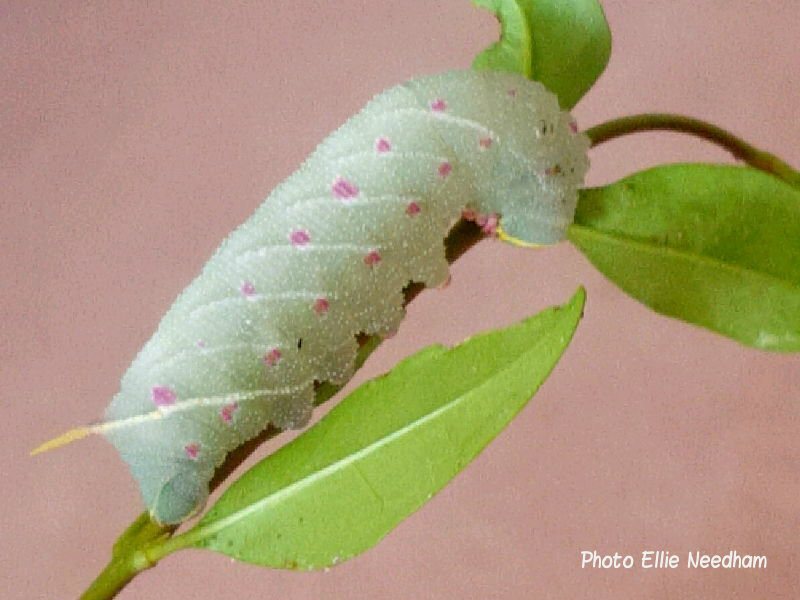 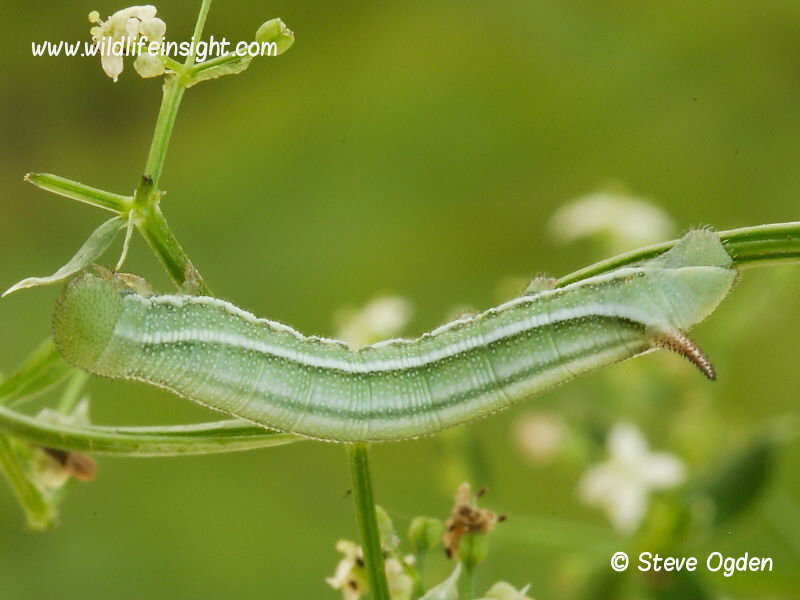 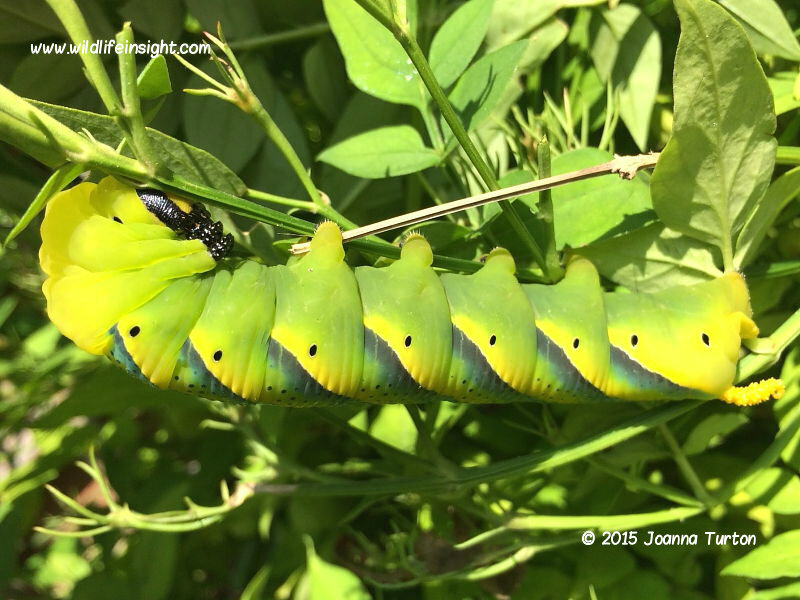 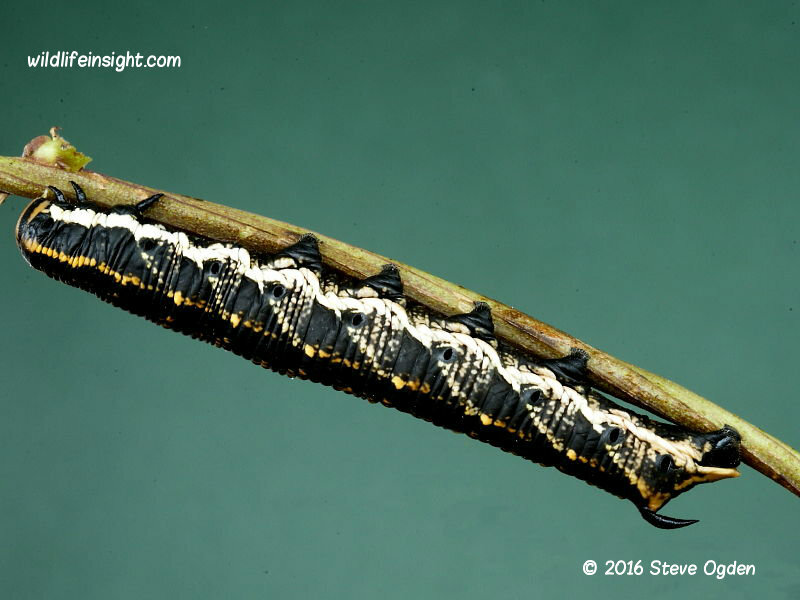 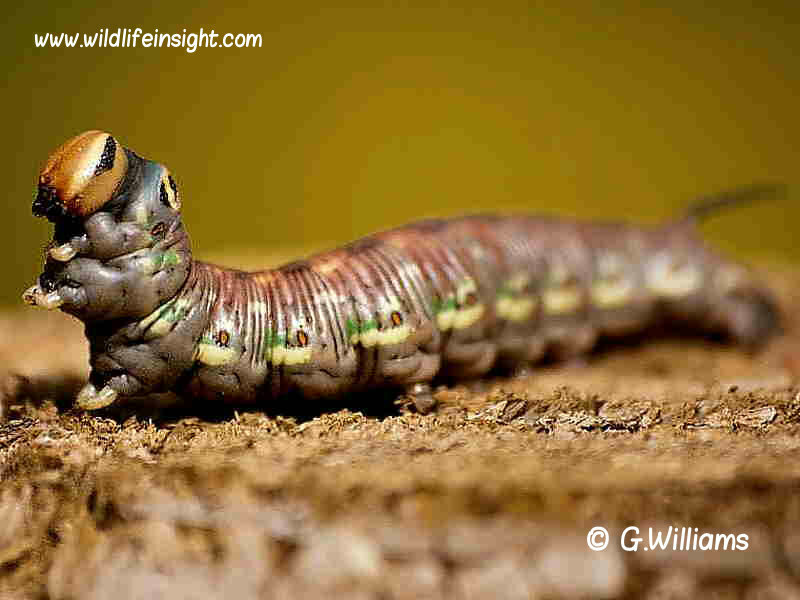 Hawkmoth caterpillars are most likely to be sighted when they leave their larval food plant and wander over the ground in search of a place to pupate in the ground.